Black Box Social Media LLC has agreed to participate in the 'Social Media In Sports' Panel being hosted by the Austin Toros Basketball team and the Social Media Club of Austin. The event will take place on Friday, March 30, 2012 at 5:30pm at the Cedar Park Center. Sports teams utilizing the right social media strategies will be able to gain significantly more awareness for their teams at a fraction of the cost than they would using traditional advertising methods. Black Box Social Media, a web 2.0 social media marketing company, will be an expert panelist in the 'Social Media In Sports' forum hosted by the Austin Toros Basketball team to discuss how sports teams can effectively utilize the benefits in social media. The Austin Toros, the NBA D League team owned and operated by the San Antonio Spurs, are running a promotion on Friday night, March 30, 2012, celebrating 'Social Media Night' as the Toros take on the Canton Charge at 7:30pm at the Cedar Park Center. This panel will be open to the public at 5:30pm on Friday, March 30, 2012, at the Cedar Park Center. The Social Media Club of Austin will be hosting this event in place of their regular monthly meeting. "We're very excited to be participating in the Social Media in Sports panel for the Austin Toros," says Black Box Social Media Co-Founder Curt Maly. "Social media in sports is more than just Tweeting scoring updates or posting on Facebook and we look forward to detailing some of the strategies we've used to increase awareness and revenues for sports teams." 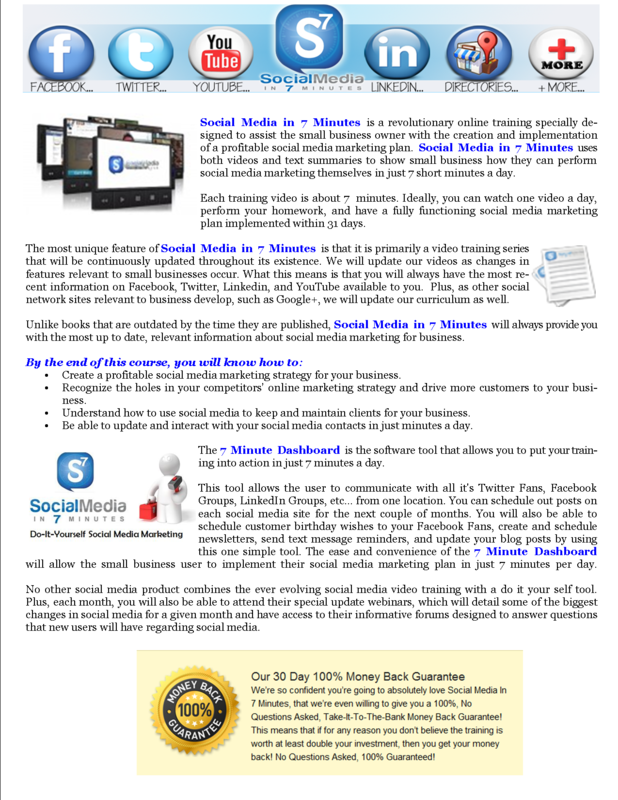 Black Box Social Media is also the creator of the do it yourself social media marketing training and implementation tool called 'Social Media In 7 Minutes'. This platform is designed to be a one stop shop for teaching small businesses how to create, set up, optimize and engage in the top social networking sites, like Facebook, Googe+, Twitter, LinkedIn, YouTube, etc... In addition to video training, 'Social Media In 7 Minutes' also provides users with a social media platform that allows them to manage all of their social sites in just 7 minutes a day. "Sports teams have very loyal fans who want to participate and align themselves with their teams' success," says Black Box Social Media CEO Tom Bukacek. "Social media is the perfect platform to allow fans to express their support for their team. Sports teams utilizing the right social media strategies will be able to gain significantly more awareness for their teams at a fraction of the cost than they would using traditional advertising methods." For more information on Black Box Social Media, please visit their official blog site at http://BlackBoxSocialMedia.com.